One of our most magical excursions, learn more about the Maharaja Night experience, allowing you to snooze under the stars on a gorgeous Goan beach. 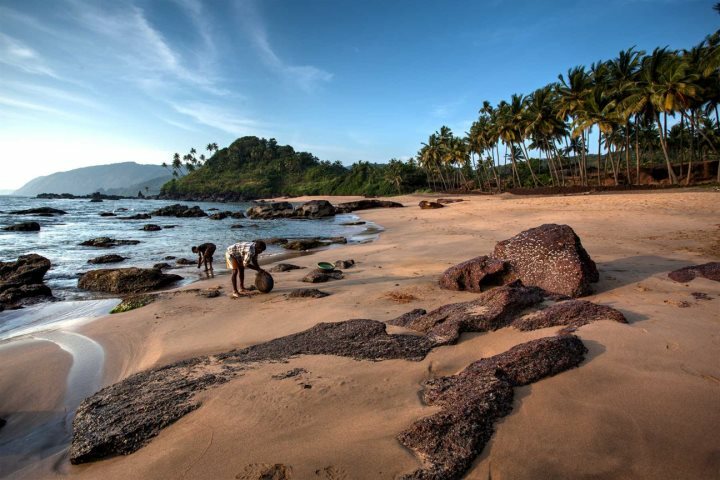 There are so many magical and memorable experiences to have in Goa, such is the diversity of this alluring destination. Our aim is to ensure that our customers don't get tunnel vision when booking their Goa holiday, and we always encourage our customers to look beyond the beach, especially to our great range of excursions and tours. Having said that, there are some experiences that are simply at their best when the sand and the sea is thrown into the bargain, and that is something that can certainly be said for our unforgettable Maharaja Night excursion. 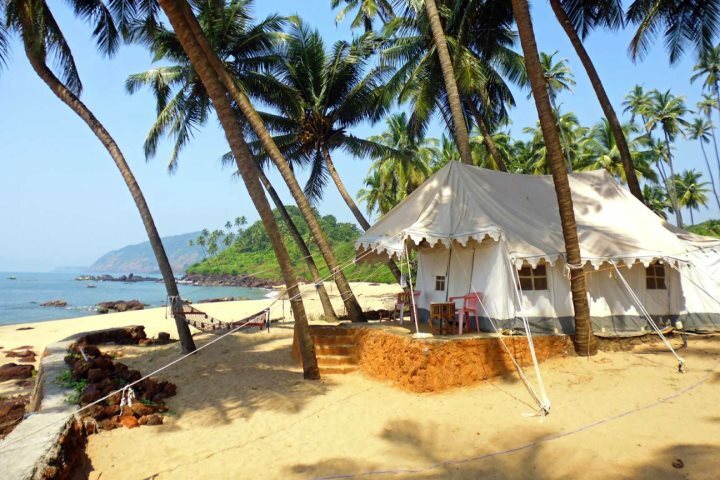 Set on the sweeping and untouched sands of Cola Beach, discovered along the beautiful coastline of South Goa, the Maharaja Night excursion promises a relaxing and indulgent stay on this stunning beach, crammed full of memorable activities. 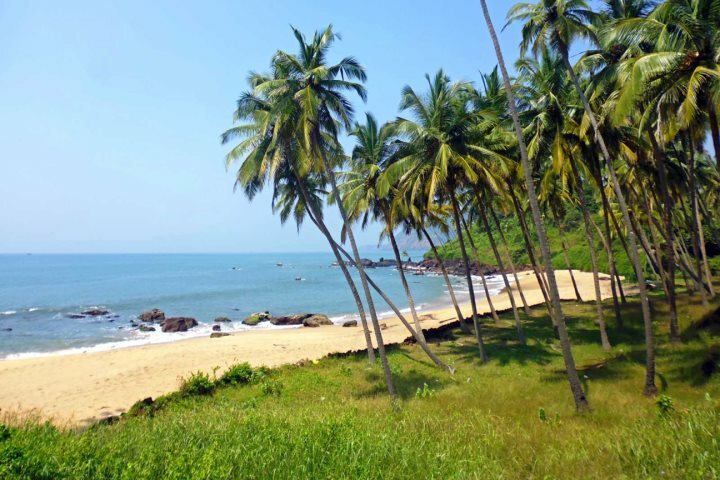 Cola Beach is located on the southernmost tip of Goa, and is recognised as one of the most idyllic and secluded beaches in the state. After a morning collection from your hotel, you'll find yourself settling on the soft sands of the beach around midday, met with a welcome drink and introduced to your very own private safari tent - your home for the night. After settling into your dazzling accommodation, you'll then get the chance to enjoy a range of tasty and authentic dishes as you indulge in a delicious Goan buffet lunch. Once your food has gone down, Cola Beach will be your oyster, with a range of optional activities on offer throughout the rest of the afternoon. You can simply relax, soaking up the sun as you lay back on the sand, but if you fancy a little more action and adventure, you have the option of going for a swim, trying your hand at some fishing or even going dolphin spotting. Your afternoon will culminate in a beautiful sunset, combined with another delicious buffet. As the night draws in, you'll gather around a warming camp fire, enjoying drinks and relaxing, with nothing but the sounds of the sea to soothe you. When you're well fed and watered, you can then retire to your inviting and cosy tent for a undisturbed night's sleep beside the sand. The following morning, you'll be given another chance to relax on the sand, before grabbing a ride back to your hotel. Before thinking about booking the Maharaja Night excursion, you need to book your Goa holiday first! Take a look at our superb range of accommodation for some extra information and inspiration.